Genetic variation, as well as changes in the environment, cause characteristics of organisms to change over time. This process of natural selection leads to the evolution of new species. Evolution is a change in the inherited characteristics of a population over time through the process of natural selection, which may result in the formation of new species. 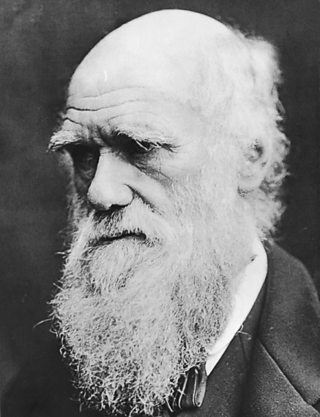 Darwin is associated with the term 'survival of the fittest', which describes how natural selection works. Individual organisms in an environment are ‘selected for’. This means that only the organisms that have the best characteristics for that particular environment will survive. If they survive then they are the ‘fittest’ for this environment, they reproduce and pass on the advantageous characteristics to their offspring. against the pale birch trees that they rest on. Moths with a mutant black colouring were easily spotted and eaten by birds. This gave the white variety an advantage, and they were more likely to survive to reproduce.
. Over time, the black peppered moths became far more common in urban areas than the pale variety. Note that this change in phenotype was not due to pollution making the moths darker. The dark variety had always existed, but was the best suited variant when the environment changed. It took many generations before the population of moths was mainly black in colour.